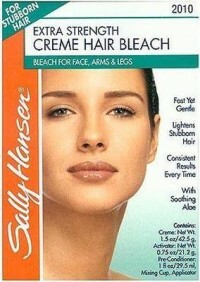 Suitable for use on legs, underarm and bikini area. 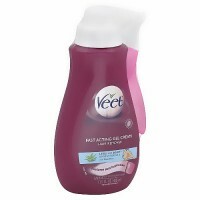 Veet introduces wax strips with haircoating technology the wax thats ready when you are. 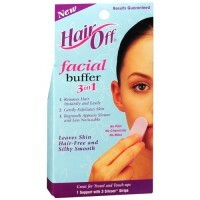 It is effective on short hair (2mm), so dont need to wait for smooth skin. 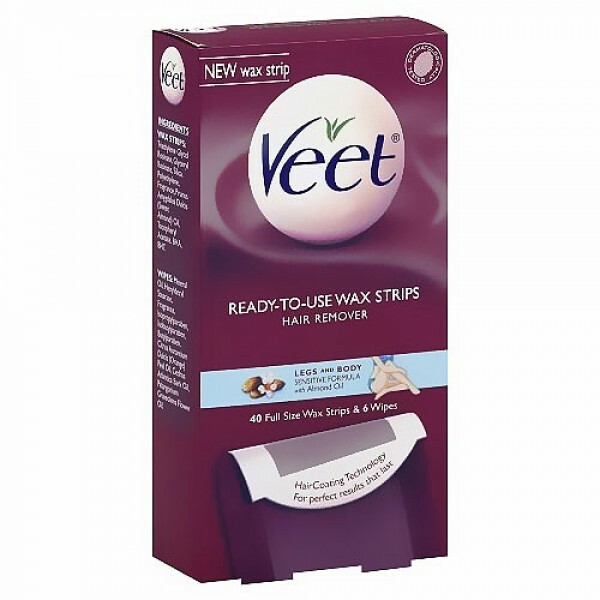 Veet has specially formulated these wax strips to act like a liquid during application, coating different lengths of hair, even those as short as 2mm. 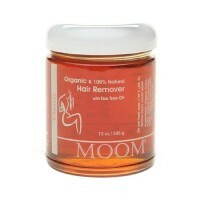 When remove the strip, the wax locks in the hair - for effective hair removal. 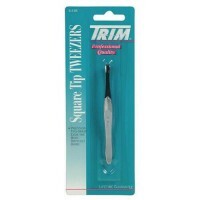 The result is smoothness that lasts up to 4 weeks. 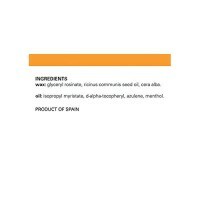 Triethylene Glycol Rosinate, Glyceryl Rosinate, Silica, Polyethylene, Parfum (Fragrance), Prunus Amygdalus Dulcis (Sweet Almond) Oil, Tocopheryl Acetate, BHA. 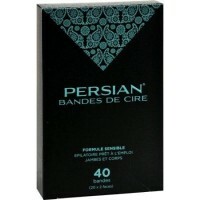 WIPES: Mineral Oil (Huile Minerale), Hexyldecyl Stearate, Parfum (Fragrance), Isospropylparaben, Isobutylparaben, Butylparaben. 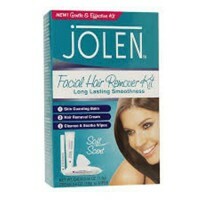 5 steps to longer lasting smoothness. Rub the wax strip between your hands to warm the wax. Holding the veet easy grip tab slowly peel the strips apart. Apply the strip with the Veet easy grip tab towards the ankle and rub the strip repeatedly in the direction of hair growth. 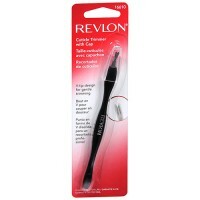 Holding the Veet easy grip) tab pull the strip back on itself very quickly and in 1 swift motion, keeping the strip as close to the skin as possible. Hold skin taut to avoid discomfort. After waxing, remove any excess wax with a perfect finish wipe. See leaflet inside for more details and instructions for bikini and underarm. Designed for use on legs, arms, underarms and bikini line, but not suitable for use on the face, head, breast, perianal or genital areas or any other body parts. Do not use on varicose veins, moles, scars, or broken, irritated or sunburnt skin, or on skin that has reacted badly to waxes in the past. Hair should be between 2mm and 5mm long. 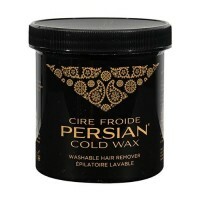 If the hair is longer trim it with scissors or clippers before wax to avoid discomfort and damage to skin when waxing. 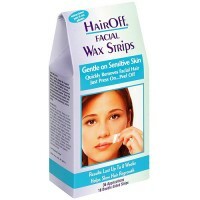 If are on medication that can affect the skin or if have a skin related disorder, check with doctor before waxing. 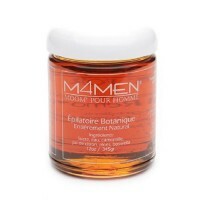 If are elderly, diabetic, or taking oral retinoids, waxing is not suitable. 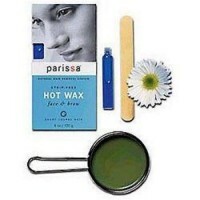 Before every use, test skin reaction by applying the wax and a wipe to a small part of the area you wish to treat, follow the directions for use. If after 24 hours there is no adverse reaction, begin waxing. 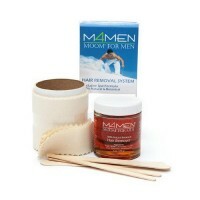 If have not waxed before we recommend starting by removing hair from the legs. Only when have experience then progress to the sensitive areas of underarm and bikini line. Veet recommends not to wax the same area of skin twice during a waxing session. After waxing Veet recommend waiting 24 hours before using antiperspirant, any other perfumed product, swimming or sunbathing. In case of ingestion, consult a doctor immediately and show the outer pack. If experience any stinging or tingling during use, remove the wax immediately with the wipes and rinse thoroughly with water or apply a cold compress. If this sensation persists, seek medical advice. Veet is fine to use if are pregnant but skin may be more likely to bruise a little.